LIGHTS: Turn on landing lights for landing, departure and ground operations. and observe caution near Flying Diamond Airport which is located approx two miles to the north. RADIO: Announce departure runway and direction of flight on 122.90. NOISE: Flight quietly, safety concerns permitting. observe caution near Flying Diamond Airport which is located approx two miles to the north. 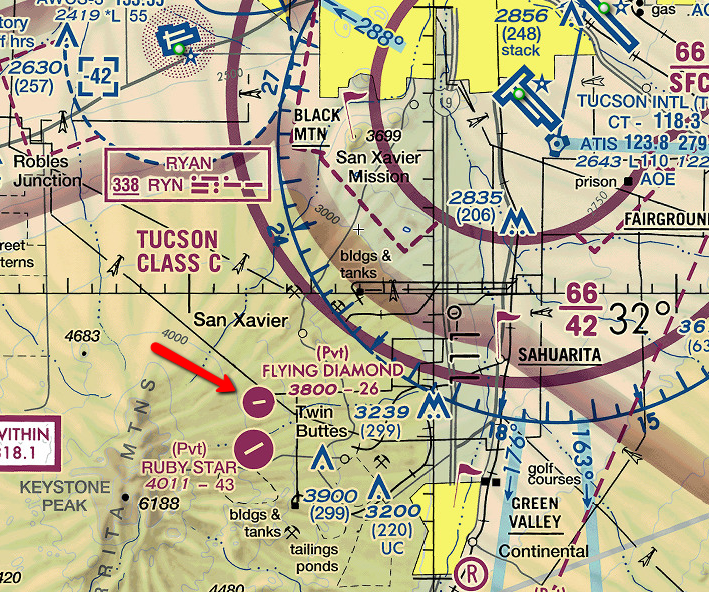 RADIO: Announce arrival runway choice, downwind entry, base entry, and final approach on Multicom frequency 122.90.